Essai longue durée : 7 ans en Ferrari Challenge Stradale ! Long-term test: 7 years in Ferrari Challenge Stradale! In early July 2011, I took delivery of the Ferrari Challenge Stradale. I owned the Ferrari F355 GTS for over three years. Whouah more than seven years already with a Ferrari Challenge Stradale and I feel like it was yesterday. Or say rather the day before yesterday! So what is my feedback while driving in a Ferrari Challenge Stradale during all these years? What are the sensations today at the wheel? What are the associated costs? And by what to replace it eventually? - or to change it because it would become difficult to sell when it had more kilometers. It was still necessary that this change is worth it! When I tried a Ferrari 430 Scuderia as a passenger, I understood that it had nothing to do with it and that, from my point of view, the best experience would be to have owned both. I found my Ferrari Challenge Stradale at Dewidehem Automobiles, which took over my Ferrari F355 GTS. From the first laps in the Ferrari Challenge Stradale, I noticed the touch of road. It's amazing this feeling to feel every little pebble on the road and even that feeling of having water come into the cabin when I passed on a first puddle. Verification made, not a drop was returned, thankfully! You detect any change in the coating, up to the thickness of the rain film varies for example. I know that sounds crazy! All this is possible thanks to the detailed feedback of information in the steering wheel, in the tub and the total absence of soundproofing. - sensations: The touch of road, I already mentioned above. is really part of the sensations, with all the information reported to the driver, but also to the passenger. Among the sensations, one can also speak of the violence of jolts during the changes of gears. This is not the case at low speed. But the higher you climb, the faster the speeds go. If you are in race mode, it's even faster and more violent because you're in a simple clutch. The next gear is not already pre-engaged as on a double clutch gearbox. When you downshift, you have a shot of gas that is given automatically at the gear shift. It also adds to the sensations, among which the sound sensations. 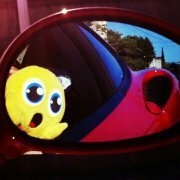 - sound: This is the Ferrari with the most enormous sound! Everyone still wonders how Ferrari has managed to homologate such a car. By the magic of the valve exhaust, which only releases the sound beyond 4 200 rpm (threshold that varies according to the gear engaged and the pressure exerted on the accelerator). Since the regulation for sound have continued to harden and Ferrari can no longer produce a car with such sound. To give you an idea, do not imagine being able to talk to your passenger on the highway at 130 km / h. You will have to scream and quickly stop. If you ride faster, on circuit, it's the sound of a real race car. It does not even happen to you to talk. If you add a button to disconnect the valves on demand, you have a race car sound all the time! Awesome ! - handling: The handling is fabulous. This is normal, the Ferrari Challenge Stradale is a Ferrari 360 Challenge on which the minimum changes have been made to homologate it on the open road. Hence its name. The idea was to be able to join the circuit by the road. The Ferrari Challenge Stradale would be a request from Pozzi, which had previously registered Ferrari F355 Challenge, for customers to join the circuit by road. The Ferrari Challenge Stradale has great behavior, without any electronic help, but watch out for wet roads. I have personally experienced 3 or 4 frights driving on soggy road. It is a car that can be scary, there is no electronic watching. - beauty: I do not get tired of it. It was after buying it, reviewing the official photos published by Ferrari when it was released, that I remembered that I put it in the background on my computer at the time. Not because I imagined one day to buy it, it seemed unattainable, but because it was, from my point of view, the best and most beautiful sportcar of the moment. I remember very well the comparison with the Porsche 911 GT3 RS in Top Gear. I did not like the front and the back of the Ferrari 360 Modena. But with the aesthetic changes brought by the Ferrari Challenge Stradale, what a beauty! I'll stop there, but we could write pages and pages about the pleasures of the Ferrari Challenge Stradale! 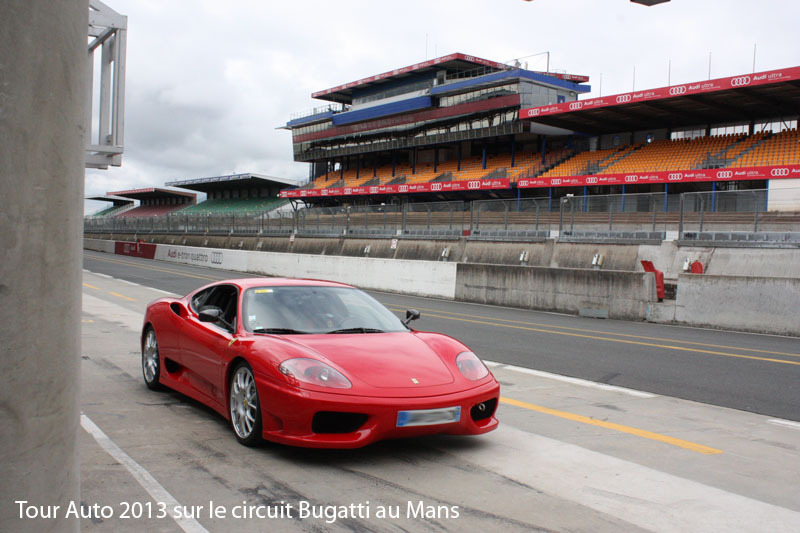 Maybe these pleasures are still present in part because I did not ride much with the Ferrari Challenge Stradale. About 15,000 kilometers, an average of 2,000 a year, roughly. It is a little at each exit as if we rediscovered it ... with a lot of fun! In a return of experience, the costs hold an important place! If I can pay for it, will the Ferrari Challenge Stradale not cost me too much in maintenance? Will she be at the garage all the time? 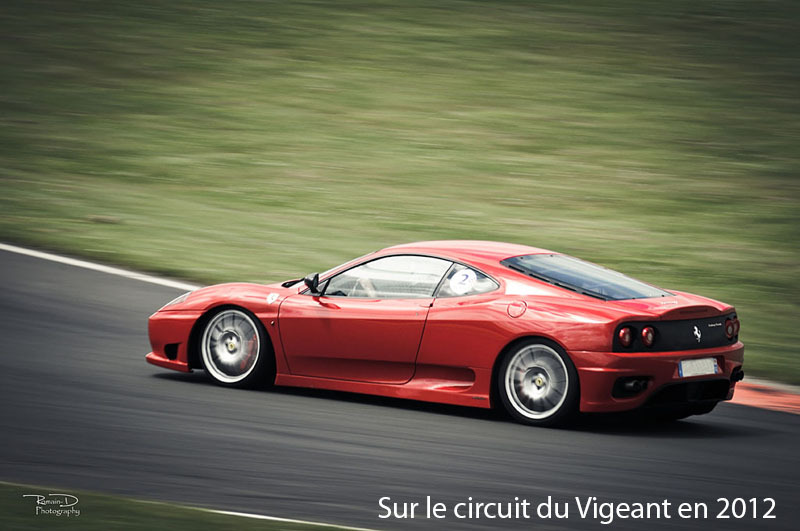 Well, the Ferrari Challenge Stradale, like the Ferrari 360 Modena, is a reliable Ferrari. Over 7 years, I only needed to carry out annual maintenance and a major overhaul. The belts had been changed on delivery. They must be changed every 5 years, without the need to fall off the engine, thanks to an access hatch located behind the passenger seat. A brake pad change was also performed once and a brake fluid bleed every two years. So basically a little more than 1,000 euros per year on average. The other recurring cost is insurance. I bought the Ferrari Challenge Stradale for around 100,000 euros. At the time, it was the normal rate for a copy in this state, with these options. Since the rates have risen and the median amount requested is rather 198 000 euros. The perverse effect of rising rates, when you keep your car, is that the amount of insurance increases, mechanically, since the amount to be insured climbs. Currently I pay 890 euros: all risks, less than 8,000 kilometers per year, 50% bonus, car in a private garage in the Paris region. I did a complete detailing at the reception of the Ferrari Challenge Stradale at Auto-Spa and during the last revision, I asked Sebastien at Auto-Spa to do a complete hand wash with a wax. The Ferrari has not moved since its detailing. A slightly damaged tub edge had been repaired like new. There must be less than 1,500 euros in 7 years of cosmetics costs or 200 euros per year for the Challenge Stradale is superb. In total, the annual cost over 7 years is more than 2,000 euros per year, which is reasonable, from my point of view, especially if you compare it with the potential, but unrealized (increase in value of several tens of thousands of euros between 2011 and 2018). This cost does not include petrol as it depends on the mileage you make. And do not ask me how much it consumes: I do not know! It's a pleasure car. In 7 years in Ferrari Challenge Stradale, the good memories are necessarily numerous. 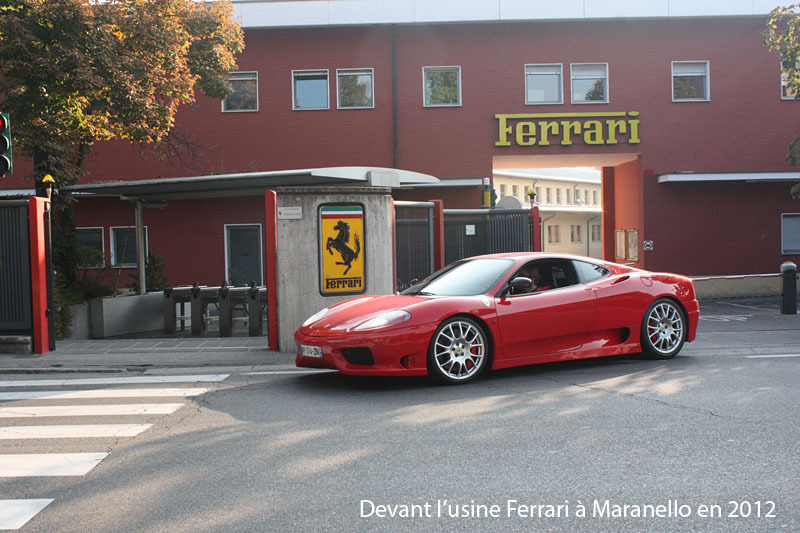 There was the trip to Maranello in October 2012, along with other members of Ferrarista, to visit the Ferrari factory. There have been some circuits, not enough at the moment, like the Vigeant for Sport & Collection, or the Bugatti circuit, for the Tour Auto. There have been many trips with members of Ferrarista and also many baptisms, for the Telethon or baptisms organized with Ferrarista in Le Havre every year. The Ferrari Challenge Stradale has a lot of success, because it's red and because it has the look and sound of a track Ferrari. I would have liked to do more, but like everyone else, I must choose my priorities, between young children, real estate projects with rehab, a busy job, family vacations, etc. I still have a lot of things to do with the Ferrari Challenge Stradale and that's good! Nevertheless, every trip, even just Sunday morning for it to run regularly, allowing it to rise religiously in temperature, is pure happiness. When everything is hot, switch to Race mode, open valves, shift reports to 8000 rev / min, what a glorious moment! What sound ! Pure happiness! Life is Beautiful ! Regularly I am asked what I will replace the Ferrari Challenge Stradale for. I was asked even more during the price spike in 2015 because "it's time to sell". But if it were true, what would replace it? The financial gap had become even more important with the Ferrari that could be more desirable than the Ferrari Challenge Stradale. There are few who represent the world of motor racing, which are the genes of Ferrari, which bring as many sensations, even at legal speeds, and modern enough to take it out easily. The Ferrari F40? More difficult to get out and rates have doubled or even tripled. The Ferrari 430 Scuderia? It is more powerful and in the same price range, but I would be too afraid to regret this change, losing the specifics of the Ferrari Challenge Stradale. Going even faster, with a Ferrari 430 Scuderia or a Ferrari 458 Speciale, is of very little interest to me. There will always be one that will go even faster when it is especially the driver that needs to be improved. The evolution of standards and regulations means that going faster on the open road makes no sense and that new productions are more stingy in terms of sensations. Some customers were unhappy with the Ferrari Challenge Stradale when it was released. It had been relatively little sold compared to its successors, because it was considered too hard, too noisy, too tiring. The Ferrari 430 Scuderia has erased its "defects" which in my eyes are advantages. 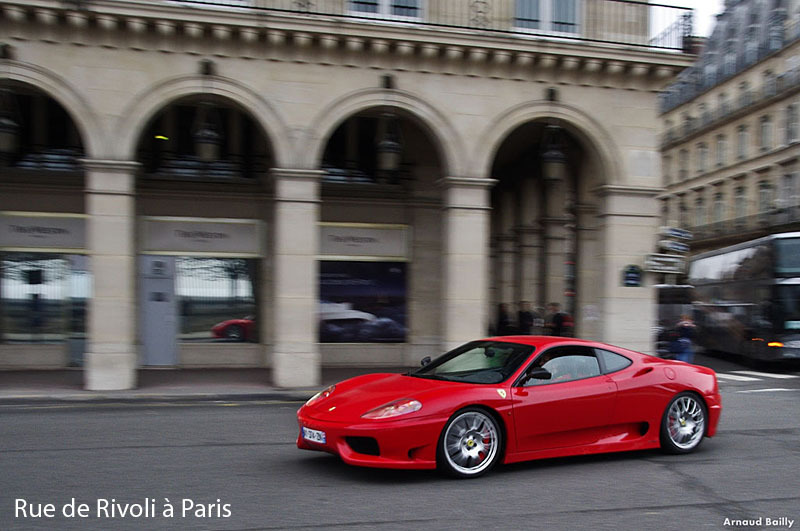 It's the only one that comes directly from a competition model, in this case the Ferrari 360 Challenge. The vast majority of those I see sell their Ferrari Challenge Stradale say they regret. And some buy another. So change it? No, I do not think so. I would rather see myself, one day, buy another Ferrari, complementary. From my point of view, the Ferrari Challenge Stradale is a collector. What question do you ask about the Ferrari Challenge Stradale? And if you own one, what complements would you bring with respect to your feedback to this Ferrari? Merci @dragon1964 pour ce long commentaire passionné. Tu as bien raison sur le confort de la Stradale et c'est un point que je n'ai pas indiqué dans mon article. 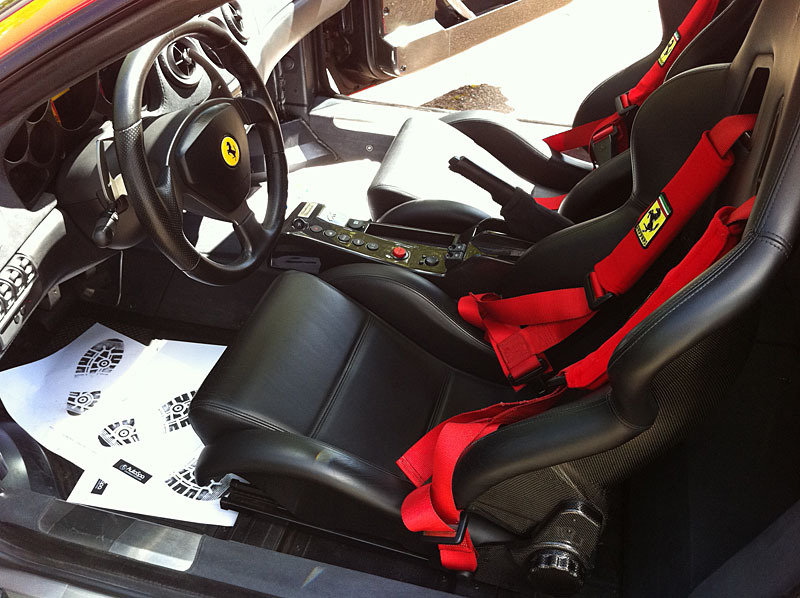 Car autant la Stradale est confortable pour son pilote (baquets qui ne fatguent pas sur long trajet), autant elle peut être difficile pour le passager, en particulier sur un long trajet, s'il n'est pas un passionné de Ferrari : volume sonore fatiguant, tête qui tape dans l'appui-tête aux passages de rapports, sièges dures pour s'y relaxer, etc. Ma femme trouve que la Ferrari F355 étaient bien plus confortable pour aller de Paris à Maranello ! Pour le pilote, c'est seulement les arrêts aux péages qui peuvent être pénibles, à l'étranger sans télépéage, car il faut retirer son harnais. Merci à toi @Franck pour cet essai longue durée très bien détaillé. Je viens de m'apercevoir que nous avons oublié une de ses nombreuses qualités, le freinage !! 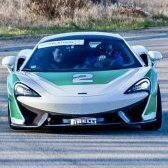 Cette auto a un freinage démoniaque, hormis des voitures de courses plus légères, je n'ai pas rencontré mieux chez les sportives homologuées. Pour le passager ou la passagère, il est vrai que ce n'est pas, et loin s'en faut, la voiture idéale pour faire de longs trajets, le bruit, les suspensions qui restent très fermes même avec le mode "sport" et surtout les à coups subis par les cervicales lors des passages de rapport. Merci @dragon1964 et @Trafalgar pour vos commentaires ! Le lien entre les deux : les freins de la Ferrari Challenge Stradale sont aussi ceux de la Ferrari Enzo ! Elle a donc hérité d'un certain nombre de pièce de la supercar Ferrari du moment. Seul le touché à la pédale diffère vraiment alors !!! On sent la réelle Passion envers Ferrari (à travers ce retour sur ta 360 CS) qui t'anime Franck et qui réuni d'autres membres de cette belle communauté que tu as crée!